Demand for ambulance services continues to grow rapidly. Contributing factors may include the increasing numbers of elderly patients with multiple conditions, an increasing number of alcohol- and mental health-driven issues, the availability of primary care services in the community and how patients seek help. Between 2009-10 and 2015-16, the number of ambulance calls and NHS 111 transfers increased from 7.9 million to 10.7 million. Increased funding for these services has not matched rising demand, and future settlements are likely to be tougher. Introducing new models of care, such as resolving calls over the phone by providing advice to callers, has helped but there are signs of stress, including worsening performance against response time targets. In 2015-16, only one ambulance trust met the three response time targets. Today’s report, however found a general consensus that commissioners, regulators and providers place too much focus on response times. The majority of patients currently coded as Red 2 do not derive clinical benefit from the arrival of an ambulance within 8 minutes, but the 8-minute target has led to a range of behaviours which undermine efficiency, such as dispatching resources before it has been determined what the problem is, whether an ambulance is required; and dispatching multiple ambulances to the same patient and then standing down the vehicles least likely to arrive first. In 2015-16, around 500,000 ambulance hours were lost due to turnaround at accident and emergency departments taking more than 30 minutes, which equates to 41,000 12-hour ambulance shifts. Transferring the care of a patient from an ambulance to an accident and emergency department is expected to take no longer than 15 minutes, with a further 15 minutes to prepare the ambulance for the next call. In addition, most ambulance trusts are struggling to recruit and retain the staff they need. Today’s report also found that each of the 10 ambulance trusts in England has developed its own operating framework, with differences in workforce mix, fleet mix and estate. These differences have contributed to variations and inefficiencies in performance. For example, across ambulance trusts in 2015-16, the proportion of incidents where one or more vehicles were stood down after mobilisation varied from 4% to 46% and the proportion of call handled over the phone varied from 5% to 15%. 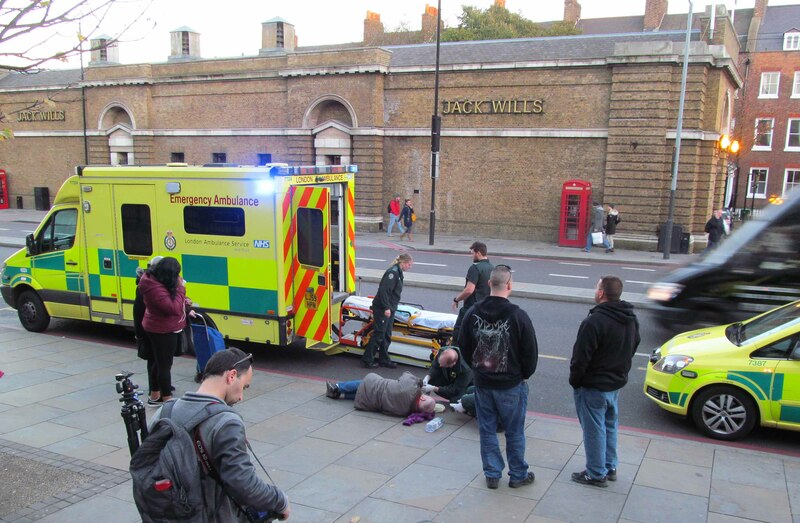 According to the NAO, ambulance services are finding it challenging to engage with the wider health sector due to the growing number of stakeholders that trusts are required to work with. In addition, the wider system does not always make good use of the ambulance services’ experience or recognise the impact that changes to other local services have on the ambulance services. Cat updates M-Series wheel loaders for 2017 – How to use a caterpillar in Civil Defence?